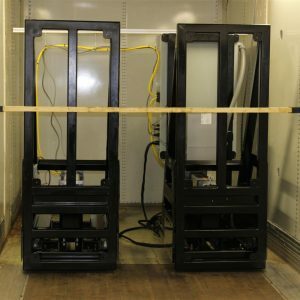 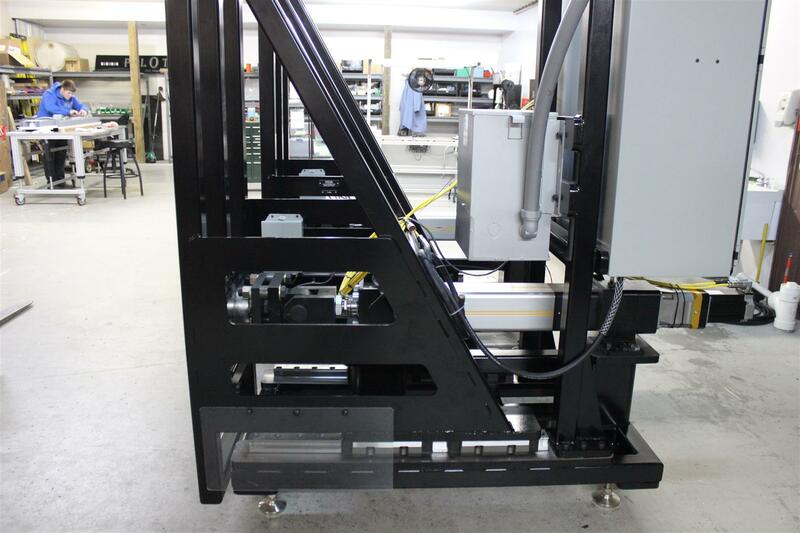 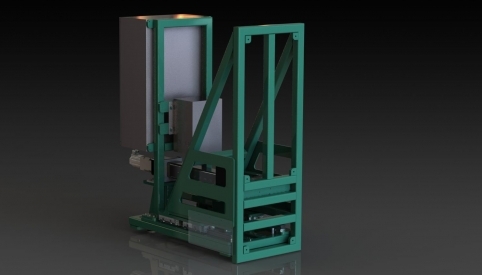 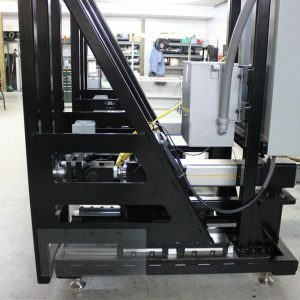 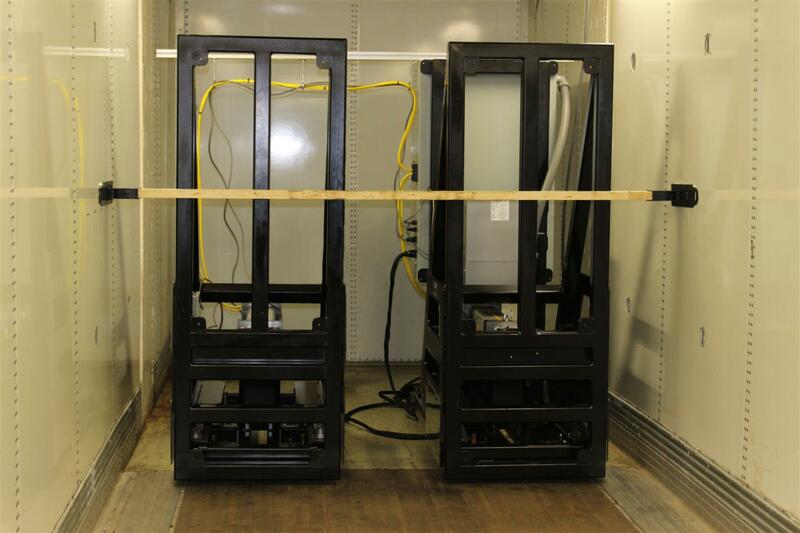 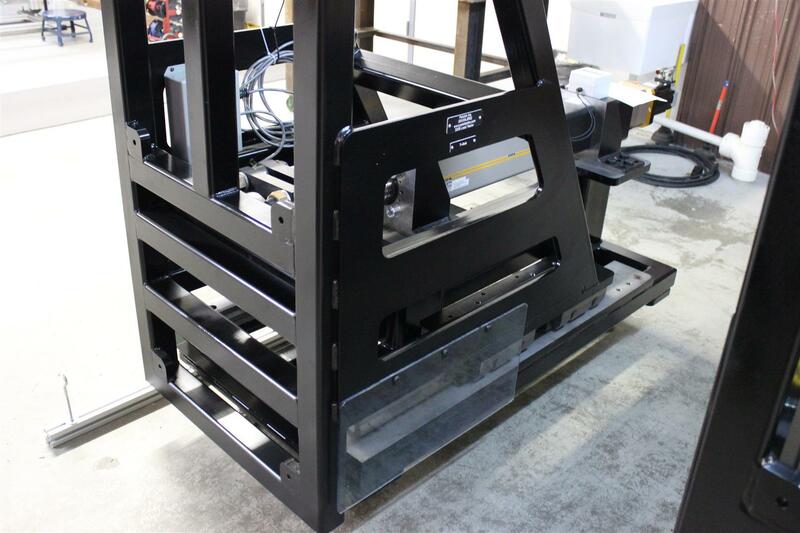 Design, build and installation of freight securement development test fixture. 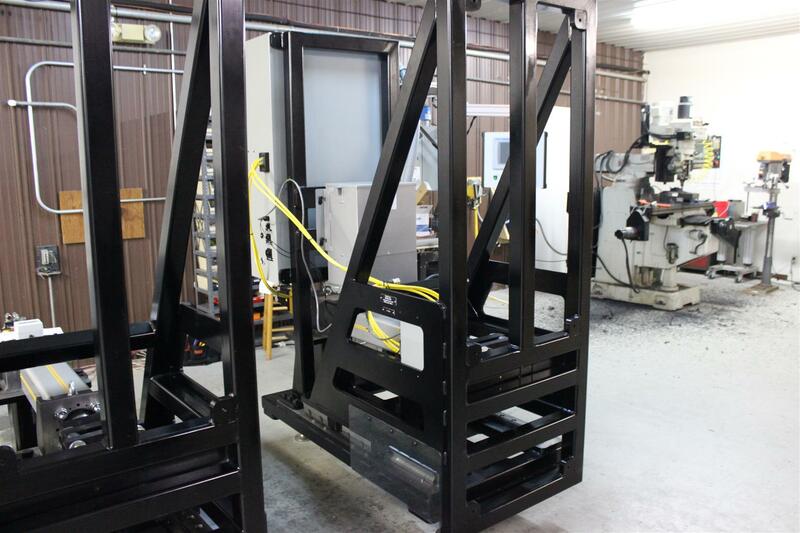 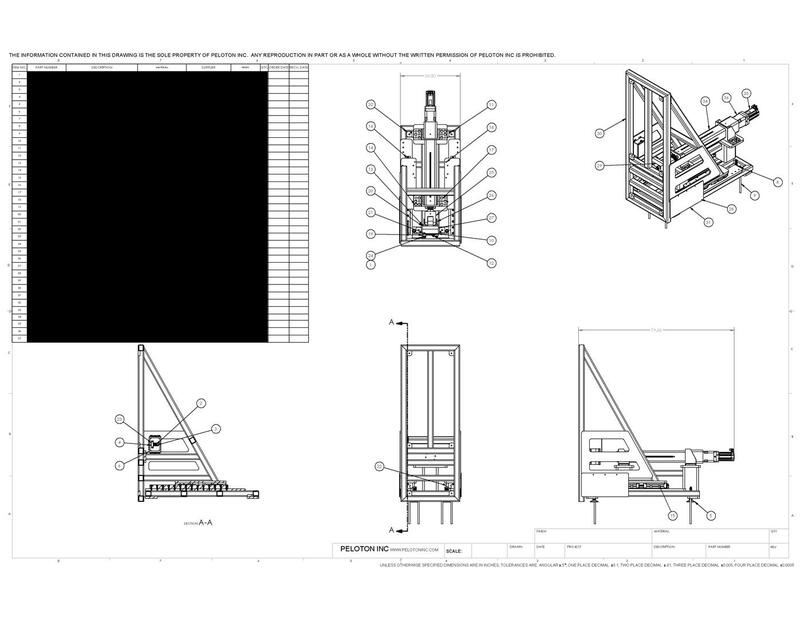 Synchronized or independently operated pusher assemblies capable of 25,000 lbs each. 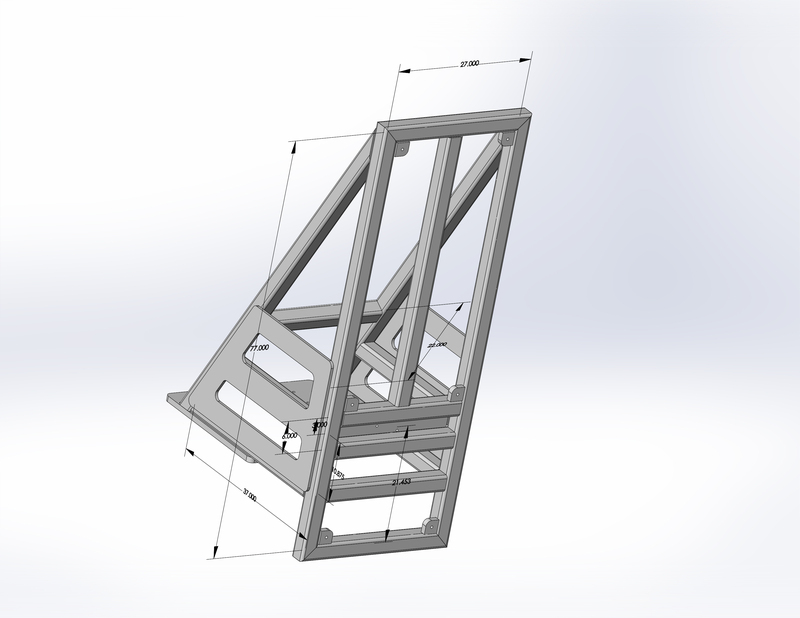 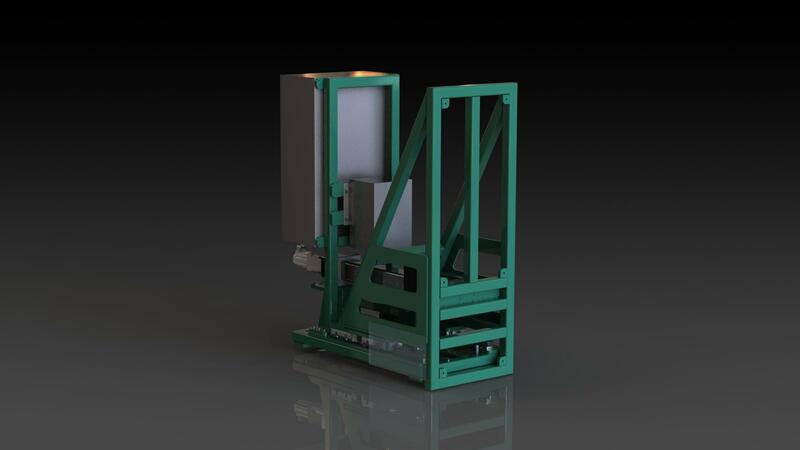 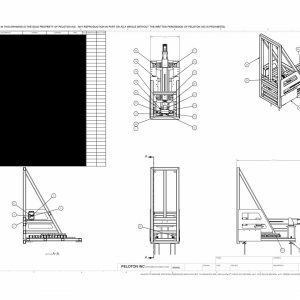 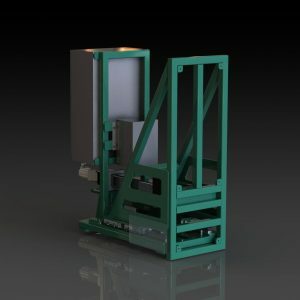 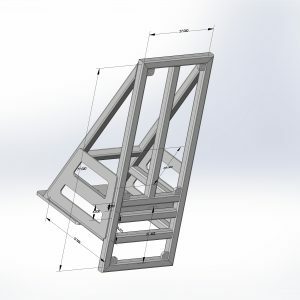 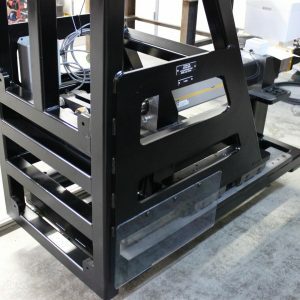 Custom machine design completed in Solidworks. 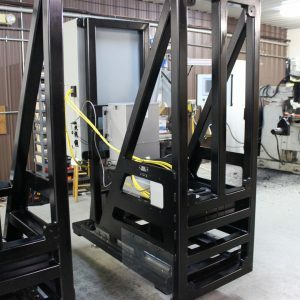 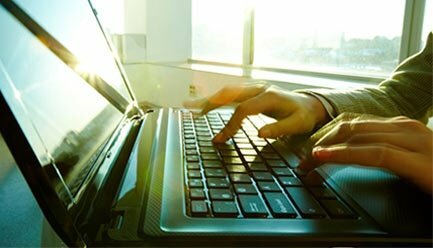 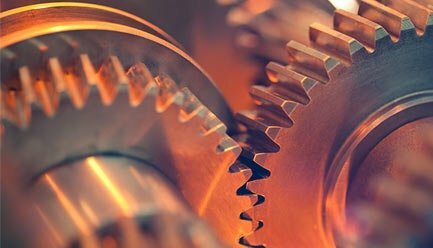 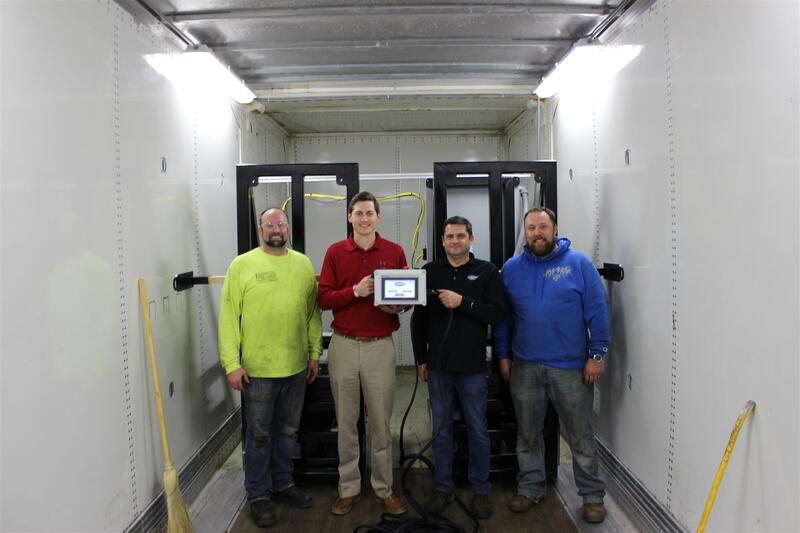 System integration included Parker ETH servo actuators, Parker drives, Parker PAC controller, and Allen Bradley touch screen interface Load cell force data was logged and saved in spreadsheet form for analysis to develop cargo restraint systems.